If you are a car owner, you would know how tedious it can get when it's time to register or renew your car registration. You really have to allot one whole day, even put up with long lines just to get the process done. The problem is, we don't always have the time. 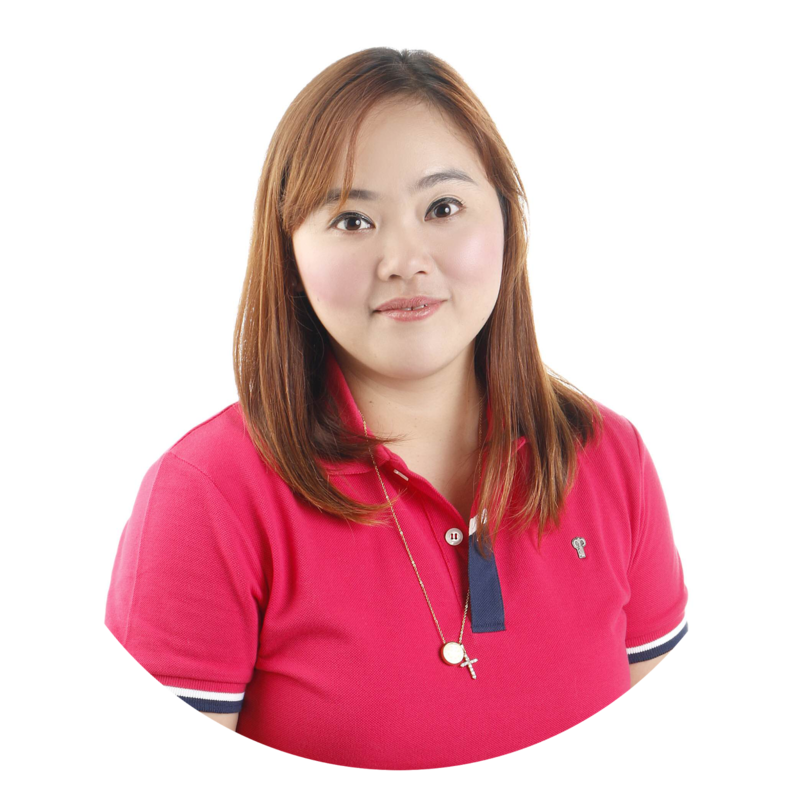 What, with all the responsibilities that we have to face each day, it would really be a dream come true if one day, even car registration is done online. Since everything is being done online these days, shopping, requesting for a copy of your birth certificate, even grocery shopping! 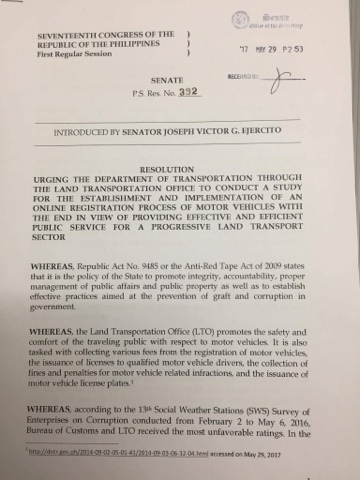 Why can't we make car registration (or at least half of the process) online too? It is it really necessary to do the engine stencil every year? (No, it won't stop carjacking!) The smoke emission testing? (It depends on the owners ability to maintain their car!) I think these are responsibilities that need to be taught to car owners the first time they register their new cars. Imagine the time and money saved if vehicle owners are allowed the luxury of just logging in online to register their cars. If we really want change to happen, then it should begin in government agencies that are considered most corrupt. 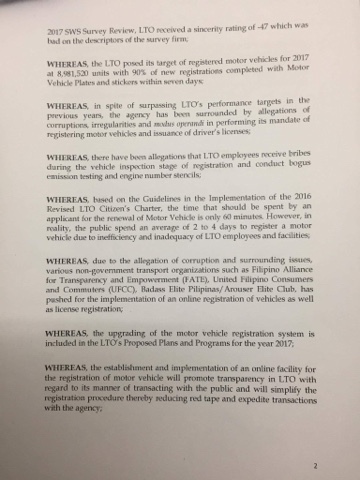 It came as a pleasant surprise when I discovered that someone from the government is actually pushing for the modernization of LTO via Online Car Registration even Drivers License application and renewal. 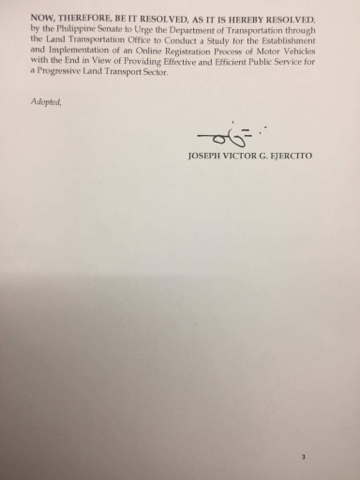 Senator JV Ejercito is pushing for a big change - a big leap that will help motor vehicle owners get rid of the hassles even corruption practices that is also a burden to every Filipinos. I really wish that this bill will be supported by everyone concerned. This is now the time to stop all forms of corruption and give Filipinos the service they deserve. So I say, 100% yes to online car registration!